Best soccer drill that young players can use to improve skills with the ball, leading to better passing and receiving of the ball is JUGGLING THE SOCCER BALL. Juggling the soccer ball develops various different skills in youth soccer players. 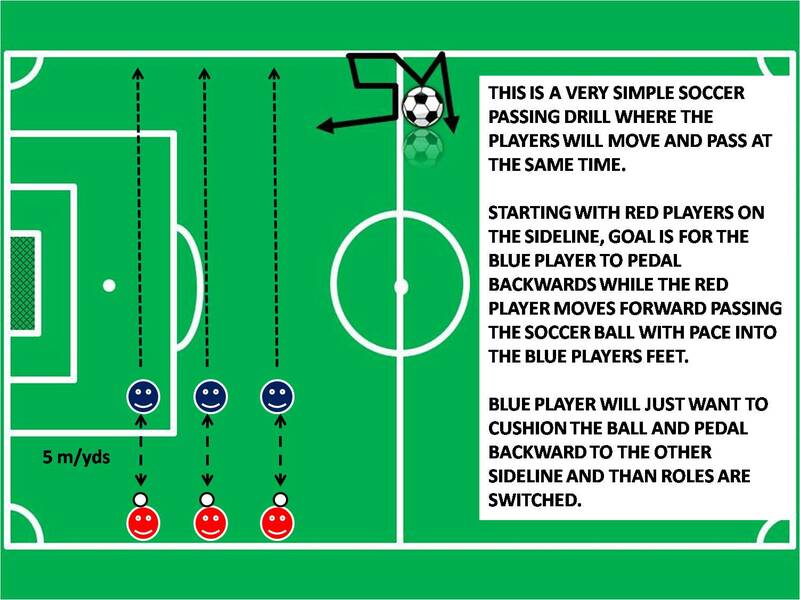 Apart from being the most simple exercise that can be used by individual players to work on their skills, it can also be applied with group of players trying to keep the ball off the ground through control and passing the ball in the air. Juggling will improve the players touches on the ball as well as coordination with the soccer ball. Weaker foot can be greatly improved through soccer juggling, and alternating feet to keep the ball in the air. 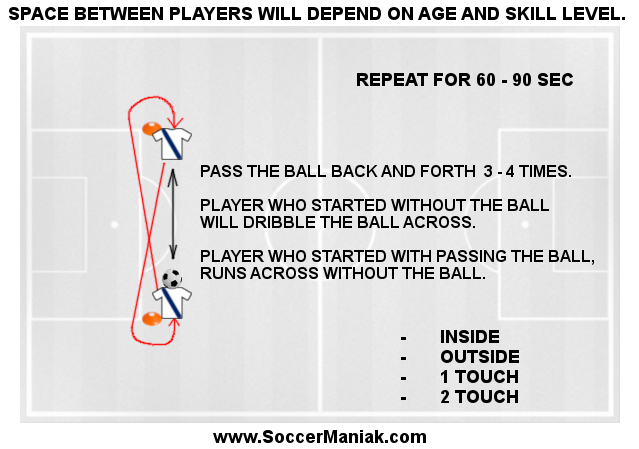 This is regarded as one of the best soccer drills for youth, and it can be done anywhere, by yourself or with friends. Simply juggle the soccer ball, and keep juggling to break your record, over and over again. Once you are comfortable with juggling the soccer ball at least 20 times, start using different parts of your body to keep the ball in the air. 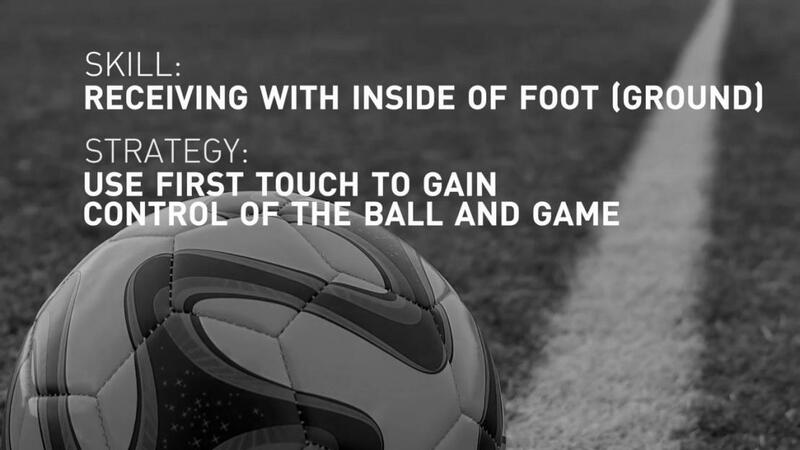 Use the inside and outside of your foot, bring the ball up and juggle with your thighs or your head, and if the ball drops, don't worry, reset count and keep juggling. Juggling the soccer ball with friends is very fun. Playing tennis soccer off the wall, or across an imaginary line is a great way to get creative and make a game out of juggling. Juggling the soccer ball is the best exercise youth players can use to develop the feel for the ball, which will be very useful when cushioning the soccer ball in order to prevent it from bouncing off your foot as if it hit a brick wall. Have fun with the ball, and you may fall in love with juggling and all the cool soccer tricks you can perform when you get better at it... the more you play with the ball , the better your skills with the ball will develop over time. Get creative with juggling the soccer ball. Work on your reaction time by trying to keep the ball up and when the ball drops on the ground, be quick to react and try to keep juggling without letting the ball drop on the ground for the second time.